Hello everyone and welcome to Nonna's Craft Corner! It's Friday and time for another Festive Friday over at My Cricut Craft Room. * To create my tag, I started with a plain #8 manila tag from Inkssentials. * I covered both sides of my tag with that pretty polka dot paper from the Countdown To Christmas paper stack by My Mind's Eye. I inked up the edges using Ranger's Barn Door ink. * On the front of my tag, I created a border using a scrap of striped Christmas paper left over from another project and a strip of white scalloped paper that I made with a MS punch. * I used the Nestabilities die Labels 6 to cut 2 white mats for the Christmas tree. After running one mat through my Cuttlebug with the Swiss Dots embossing folder, I pop-dotted the layers together. I used Ranger's Barn Door ink around the edges. * The Christmas tree is cut from Cricut's Art Philosophy cartridge. I cut out two trees and stamped one of them with the Celebration stamp set that came in the Close To My Heart/Art Philosophy Bundle. My tree was stamped with Memento's Pear Tart ink. * It's hard to tell in the photo, but I also heat embossed the tree with Ranger's Holographic embossing powder. I used pop-dots to layer the trees together. * My sentiment is from the Christmas Wishes stamp set by Pink By Design. This was stamped with Barn Door ink onto a banner cut from the Nestabilities die Ribbon Banners. * A bit of ink, some bling and tulle ribbon finish up the front of my tag. 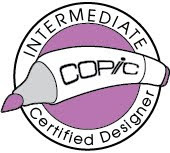 * I used my Nestabilities Labels 6 die again to create a mat for the back of my tag and inked up the edges. * The to and from sentiments are stamps from the Christmas Wishes stamp set by Pink By Design. And that about wraps up my Festive Friday! I hope you have enjoyed your time here today....I always love your visits and look forward to your sweet comments! 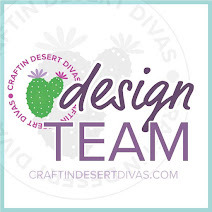 Don't forget to stop by My Cricut Craft Room to see all the wonderful projects put together by the fabulous Design Team! Beautiful tag! So much detail! Oh my, that tag is as good as getting a gift - I love it. Polka dots - my fave! and I love the inking (I need that color!) and the embossing. The holographic distress powder just adds so much to projects. It's a terrific project. Very Nice Tanya! I am loving this cartridge! Love it! I am so excited about Christmas this year! This just gets me ever more excited!!! I love the patterned papers you used and the tule was a nice touch! Someone will be lucky to have this on their present for Christmas. Great job, I love the ribbon and all the paper you used. Adorable!!! Oh so sweet!!! Love the papers and all the details !! I'm lovin all the tulle , too! !